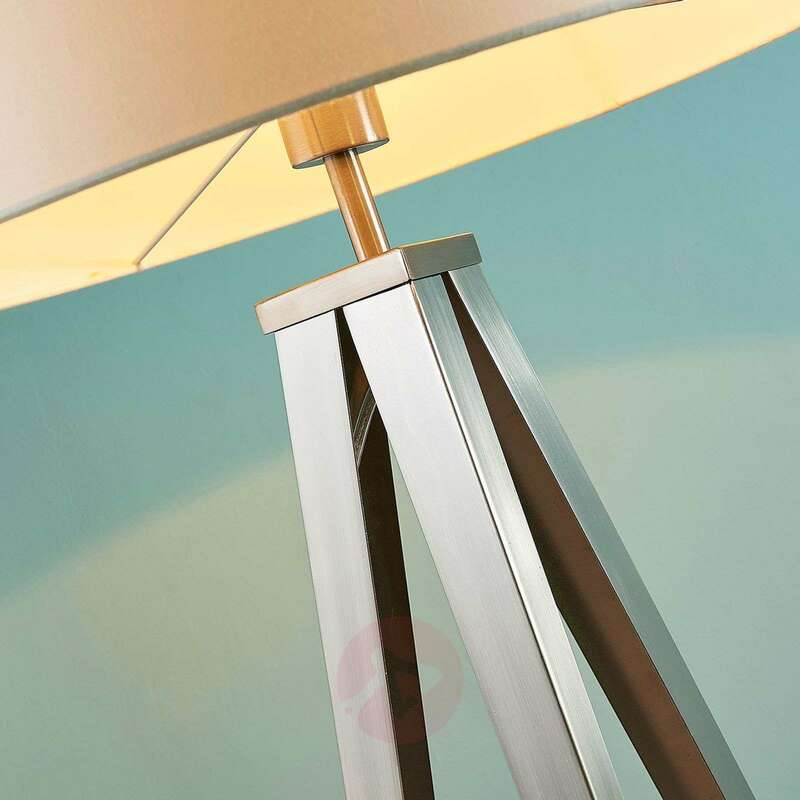 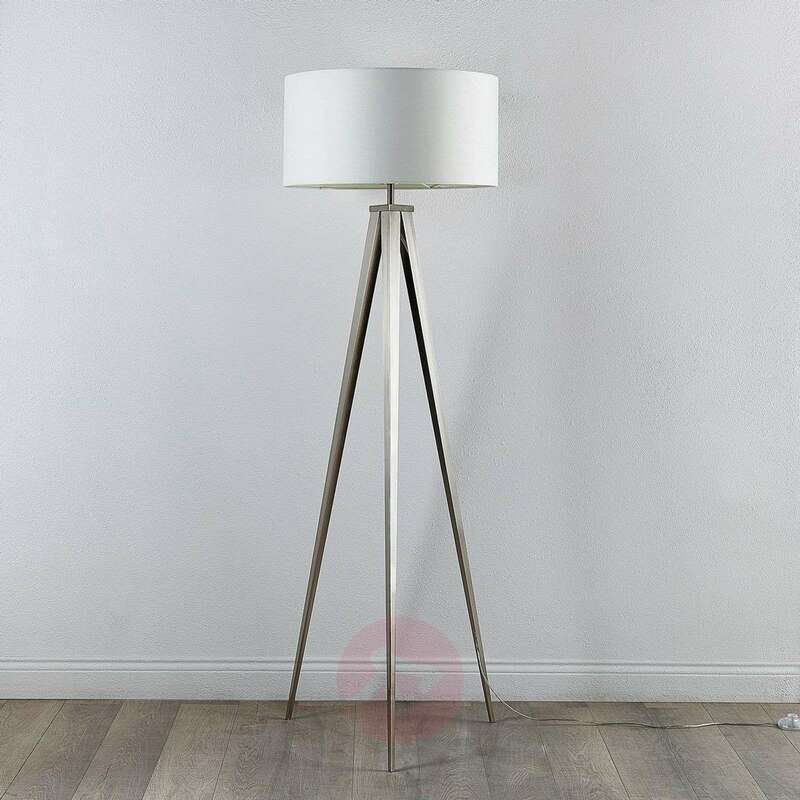 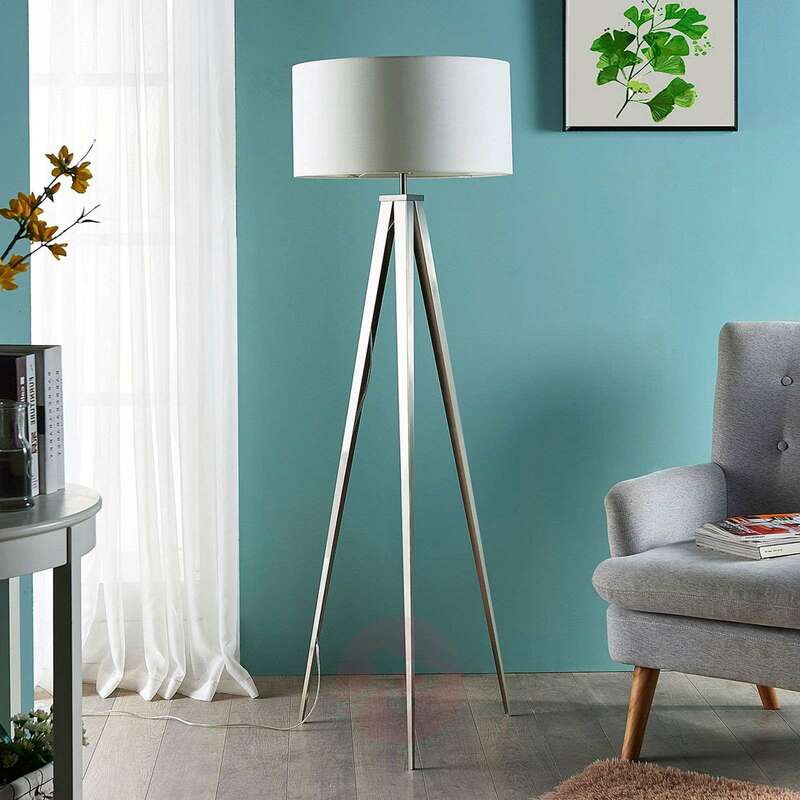 Tripod floor lamps - ones with three legs - are right on trend and are sought after light fittings which are used in the home and provide an attractive light there. 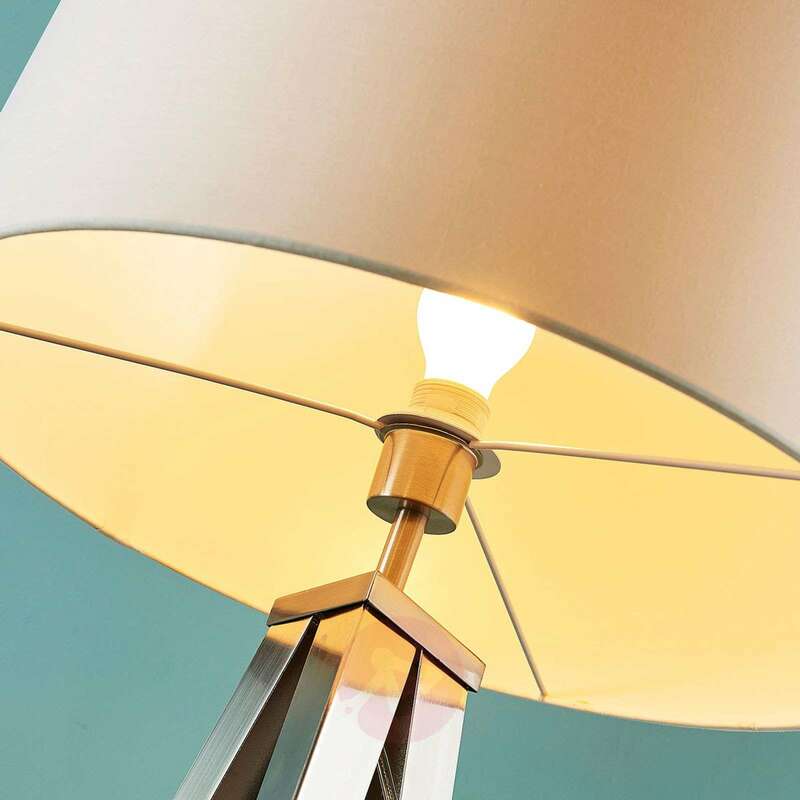 In the case of Benik, you are purchasing a slightly cooler-looking light which combines a silver-coloured frame with a matt nickel surface and a cylindrical white fabric lampshade. 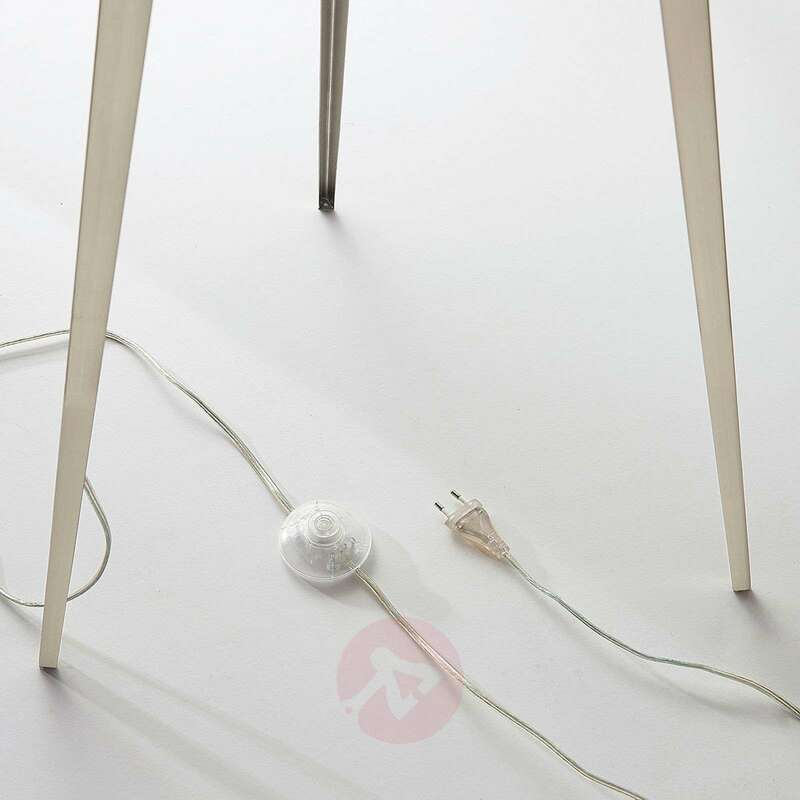 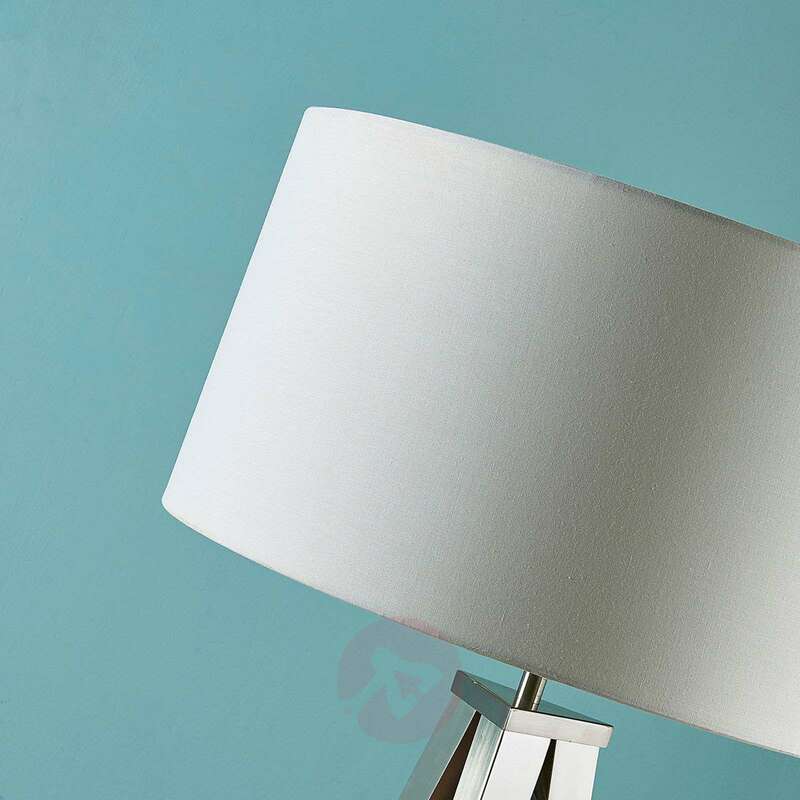 With these properties, it fits very well into modern interior designs, but also provides a cosy lighting effect, as the white lampshade creates lighting with an even glow and reduces unnecessary glare to a minimum. 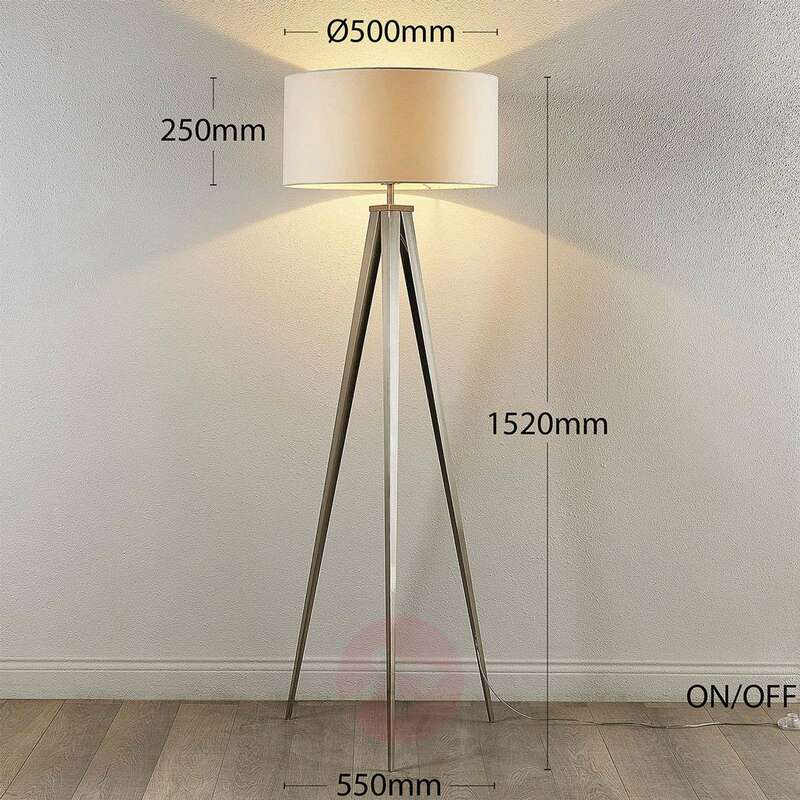 Perfect size and shape, well made and reasonable price. 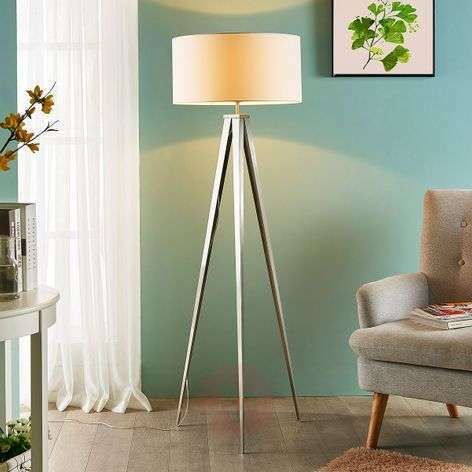 Also very simple to assemble....delighted. 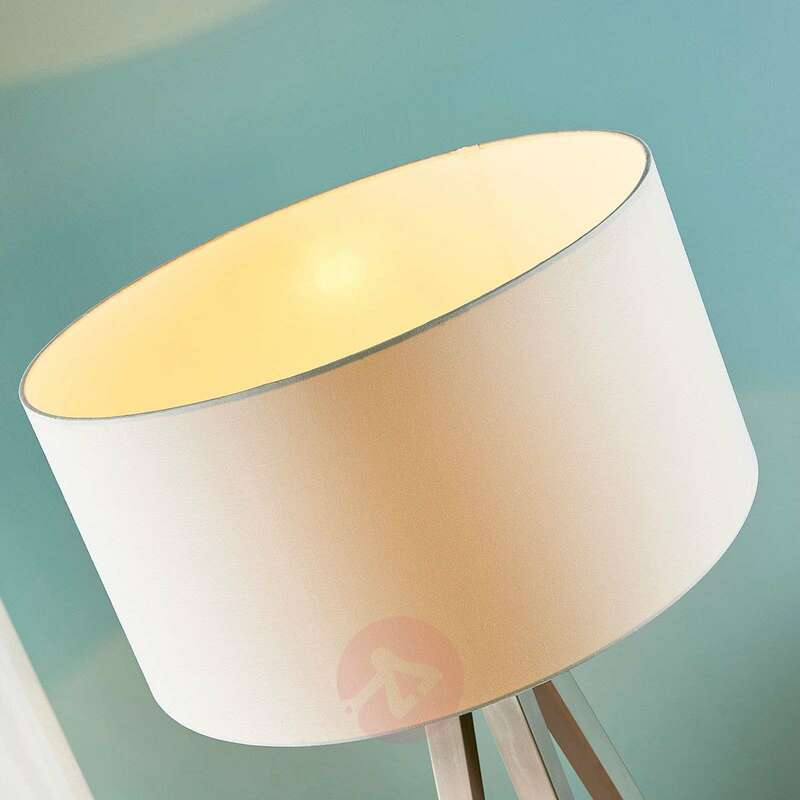 Illumination Great throw of light....illuminates whole room and has a soft yellow light.